Erik Baláž grew up in the shadows of the Tatra mountains and has spent large part of his free time in the wilderness since the age of 16. He graduated „Forrest ecology“ at the Technical University in Zvolen, his master dissertation analyzing the ecology of bears. He was already active in the campaigns of the forest and predator conservation organization VLK („Wolf“) during his studies. He lead successful campaign to save the ancient forests in Ticha and Koprova valleys. These valleys remain the largest wild area in Slovakia today. He co-authored successful book book about bears Posledná pevnosť („The last fortress“) and the documentary movie Keeper of the Wilderness. Erik initiate new conservatory project in Eastern Carpathian Mountains, part of which is also the documentary The Wolf Mountains. 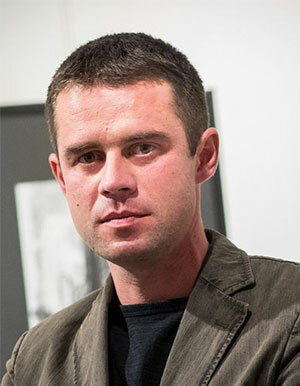 In April 2018, Erik Baláž became the vice-chairman of the political part SPOLU.